RBTH presents a selection of views from leading Russian media on international events, featuring a report on the possibility of further EU and U.S. sanctions if Ukraine’s rebel republics do not meet demands over election dates, as well as analysis of Europe’s migration crisis and discussion of the likely future price of oil. The Kommersant business daily reports that the European Union and the U.S. are reviewing the possibility of introducing new sanctions against Russia. This will happen in the event that the governments of Ukraine’s self-proclaimed republics of Donetsk and Lugansk (the DNR and LNR) refuse to hold their local elections on Oct. 25, the day in which they will be held throughout Ukraine. 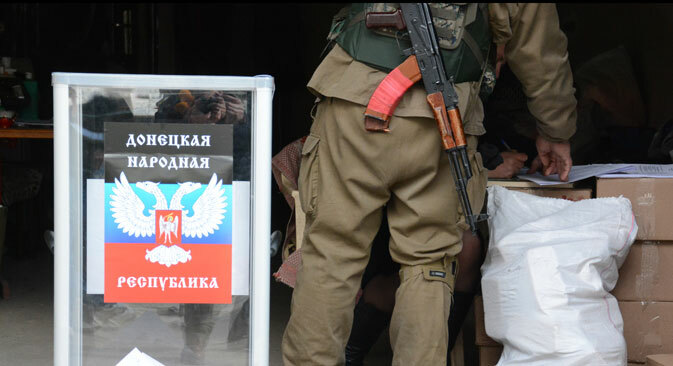 The DNR elections are planned for Oct. 18 and the LNR will hold polling on Nov. 1. "If the representatives of Donetsk and Lugansk continue to insist, and the elections in Donbass are held separately from the Ukrainian ones, do not correspond to Ukrainian laws and are not monitored by international observers, this will be a serious and demonstrative blow to the Minsk agreements," said a Kommersant source within western diplomatic circles. "In essence, this will be the final nail in the coffin of the peace agreement. No one in Europe and the U.S. will believe that Russia is capable of influencing the separatists to turn away from this dangerous path." The issue of the period and conditions for holding the local elections in Donetsk and Lugansk will be discussed this week in Minsk during a meeting between the foreign ministers of Ukraine, Russia, France and Germany. The Svobodnaya Pressa newspaper analyzes an incident in Estonia, where in the village of Vao some unidentified people set a refugee center on fire at four o'clock in the morning on Sept. 4. Several dozen people, including children, were in the center at the time. Thanks to prompt intervention from the local firemen there were no victims. "We're dealing with potential mass murder," said Member of the European Parliament and former Estonian Foreign Minister Urmas Paet. Experts believe that this is only the beginning of the migration crisis in Europe. "I think that the problem of refugees in the European Union in the long term is more dangerous than the conflict in Ukraine," said political analyst Yury Dolinsky. "It will erode the European organism. It will gradually destroy the European Union, affecting its economy, its social sphere, it will radicalize the political systems." Dolinsky believes that people are fleeing to Europe from the Middle East and from Africa due to the chaos that the West itself has created. "However, I can't imagine how they will solve this problem without shaking the foundations of the EU,” he said. The centrist daily Nezavisimaya Gazeta discusses the future of world oil prices. In the opinion of former Fuel and Energy Minister Yury Shafranik, the sanctions against Russia have substantially affected the country’s oil industry. "The ban on sending high-technology equipment to Russia and Russia's inability to obtain long-term credit may significantly alter the primary forecasts concerning oil production," said Shafranik. The former minister believes that oil prices will fluctuate around $50 per barrel, yet a price of $30 or even $20 cannot be excluded. The Russian Finance Ministry has still not determined the oil price that will become the basis of the 2016 federal budget. For now officials in the ministry say that the price "will be $40 per barrel." Head of Sberbank German Gref is making similar forecasts: "I don't think that the price will fall unpredictably to $20-30 per barrel. The price of $50-60 per barrel may not be very pleasant, but it is not critical. I would focus on these levels and the consequent ruble-dollar exchange rates,” he said. Meanwhile, analysts from Aton assert that oil prices do not depend on the number of wells. In the last years the oil industry has preferred to explore new deposits rather then invest in the development of existing ones. Nevertheless, investments in oil production in Russia are being reduced and eventually this will lead to a reduction in volume, according to Nezavisimaya Gazeta.